Water for flushing the toilet – perfect for the job! What can I use a rainwater tank for? In order to get good use out of a rainwater tank and maximise its value, you should consider connecting it for indoor usage. In this way you can use the tank all year round and particularly during the winter months when outdoor use is at a minimum. The percentage of household water use in the garden varies from less than 25% to more than 50% across New Zealand, generally depending on a household’s geographic location. 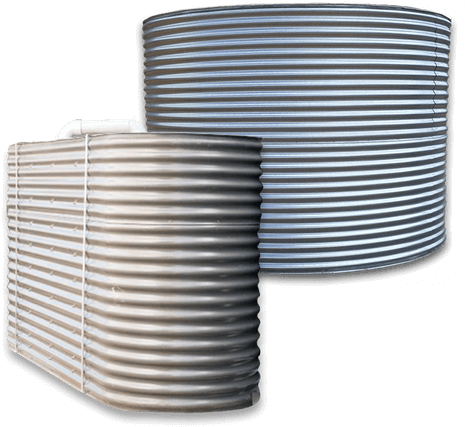 Larger rain water tanks tend to be more beneficial as you can store a large amount of water from the wetter seasons to use in your garden through dry periods. 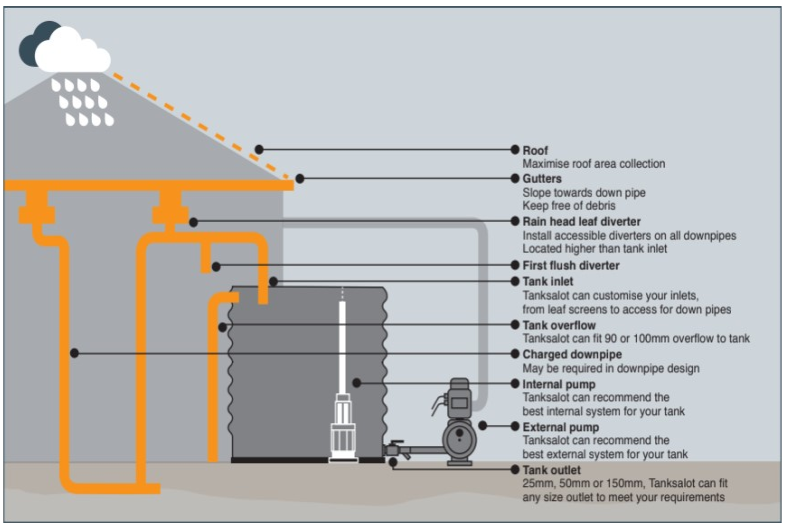 How big does the water tank need to be? A good rule of thumb is to purchase a tank that holds a minimum of four weeks supply. For instance, if you use 1,000L of tank water each week in the garden, toilet and laundry combined, you should consider purchasing a 4,000L tank. How much rainfall do you get in your area? How much space do you have for a tank? What type and size is your garden?